Hello everyone, I need some advice and help. My wife and I owned a 2009 [email protected] L model until June when it was totaled in an accident. We just replaced it with a 2015 [email protected] Q model. 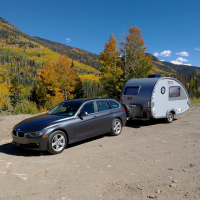 We live in N. AZ and like to use our trailer year round taking it out for weekend trips. Our L had the simple 5 gallon water tank, sink drain hose and water pump under the kitchen counter, as I said simple. We would open the cabinet doors and just leave a small ceramic space heater on low so we could head out without any hassles. Our camping trips took us to Williams, AZ one year for Easter, it got down to 15 degrees but because we had all the plumping and tank inside with us it was not an issue. 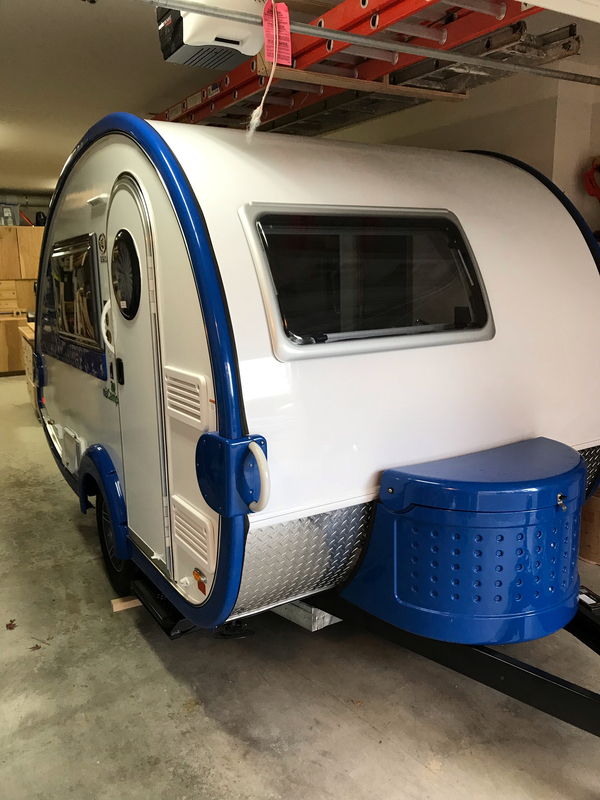 On the new [email protected] with the fresh water tank, greywater tank, outdoor shower and connector hoses outside I was concerned about how to keep them from freezing when traveling and camping in cold country? 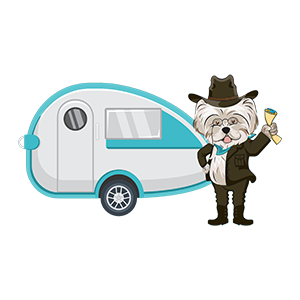 The dealer did not know and recommended I contact NuCamp which I did only to be told it is now a 3 season only camper unless we winterize it completely then not use the water. Only being a 3 season camper does not work for us, being simple was our reason for going to the [email protected] in the first place. The person at NuCamp I soke with recommended I reach out to the Forum to see how others handle the cold weather issues. I am hoping to solve this so we can continue to enjoy our new [email protected] (which we have named "T2"). Thanks for you assistance. 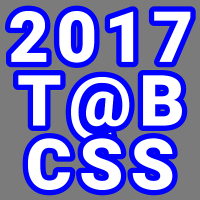 I have a 2016 CSS and use it through the winter. I have camped with temperatures down to 8F and only used the Alde Heat to maintained the temperature set on the thermostat which was 65F. 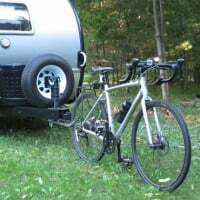 I winterize the plumbing but don't feel that impacts my enjoyment for camping in the [email protected], just part of camping in below freezing temps. 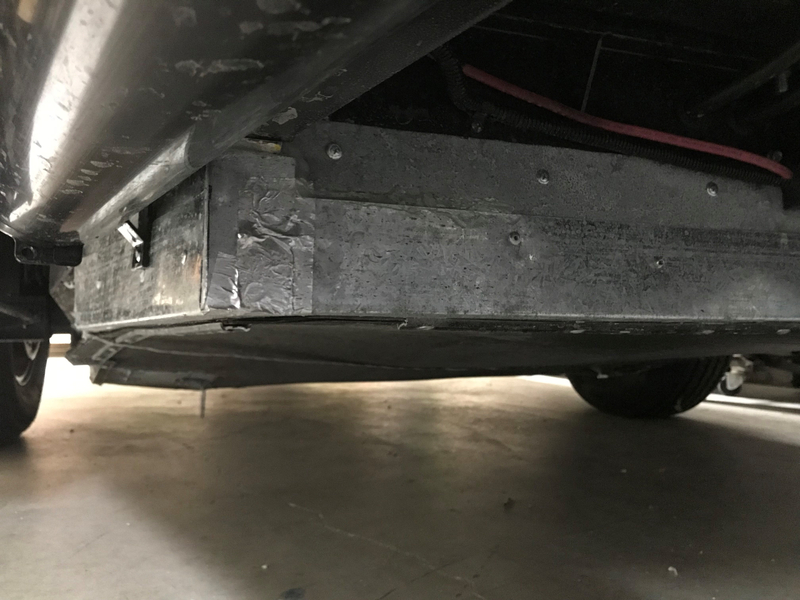 We have a 2018 Outback S. We camp frequently with the water system winterized. We have a gallon and a half water bottle that we fill and keep it in the heated camper. Not having on board water has not kept us from winter camping. The Alde keeps the cabin nice and cozy. One of the reasons we purchased the [email protected] was to enable us to camp in all four seasons. Enjoy! We use ours at ski areas in the winter, and while we don't use the freshwater or water hookup, we do use the toilet. We carry a couple of 2.5 gallon jugs for drinking and cooking, and use RV antifreeze to "flush" the toilet. It's usually above freezing when we return home and dump the black tank. 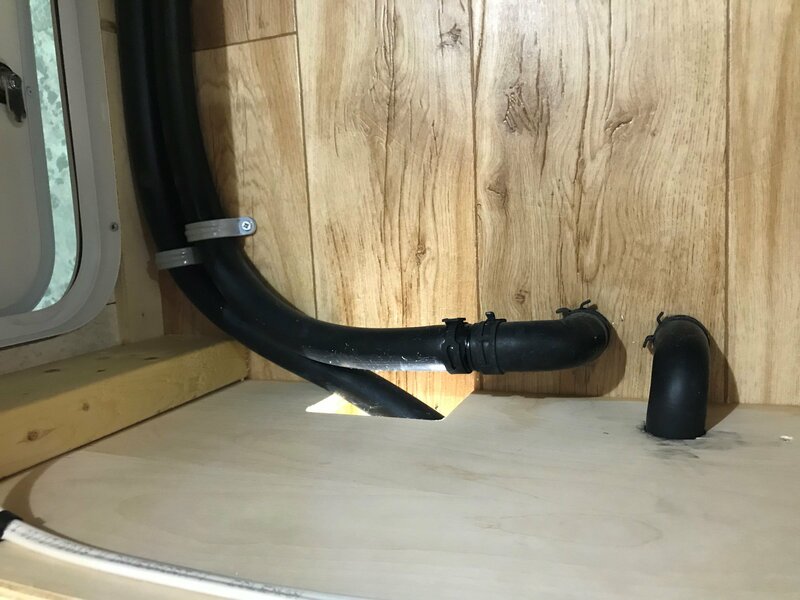 The [email protected] uses Pex plumbing lines so it has some protection, if it's only slightly below freezing for a few hours we sometimes chance it. We’ve dry camped with our 2017 320S early in the season when temps still get down below freezing. We winterize and use water jugs for drinking and cooking. We use the toilet, lining it with plastic bags with some kitty litter. Sounds gross but really no big deal. Just tie up the bag and throw it in the trash. @MAF, my husband and me are stranded at the moment in Evanston, WY. We are in our [email protected] It is approx 15°F. We did the best we could to winterize when it became clear this would be an extended stay, by draining the lines and using a small 12v air pump. This is an unexpected and emergency circumstance, as the transmission of our tv has failed. 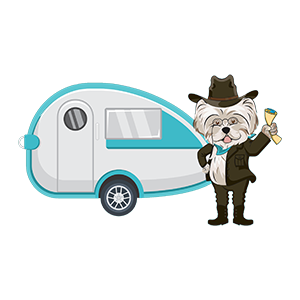 We use bottled water inside, and are using the toilet as suggested, flushing with rv antifreeze. We have been here for 9 days in this weather @ approx 7,000 ft altitude, sitting inside the [email protected], parked at a "closed for the season" rv park. We have 30 amp electrical service for the alde. We take "sponge baths". We are not putting any water in the gray tank, as our supply of rv antifreeze is limited. If 9 days, so far, in these conditions is not winter season camping, I don't what is. It has snowed twice; but at this altitude with low humidity, it evaporates quickly. We have had to empty the black tank twice, making sure we work the antifreeze into the gate valve afterward. Don't know when we'll be back on the road heading home, already feels like we've been here a very long time. This wouldn't have been financially survivable if it weren't for the [email protected] 4 seasons, easy peezy. @dragonsdofly Thank goodness you have electricity! So sorry you’re stuck for a bit, but I’m happy you have your experience and knowledge of your [email protected] And I really hope you have some board (or as I call them, bored) games or movies, music and oh yeah, food! Keep your good cheer and let us know what’s happening please. @MAF, as you have probably gathered from the previous responses, the [email protected]'s water system is not designed to be used in the winter. Much of the plumbing is outside of the heated space and as such will be subject to damage in freezing temperatures. Mods to truly winterize the camper have been discussed here in the past, but the general feeling was that they were neither simple nor practical. If you are hearty enough to camp in the winter, you should probably heed the suggestions above. @dragonsdofly YIKES! Thank goodness for the Alde system! I love it! For the toilet I use the two bag/litterbox set up when I'm winterized. It would be cheaper for you than antifreeze I would think. It is getting to be that time of year up here; 23' this morning when I got up and the 'S' word is being tossed around by weather people. @MAF, we have camped in the winter, -5°F (5 below! ), and we were toasty with the Alde heat. Had to do without running water, just used jugs for drinking water, and took advantage of the campground facilities otherwise. Similar to others, I bring my own water and use wag bags in the toilet. 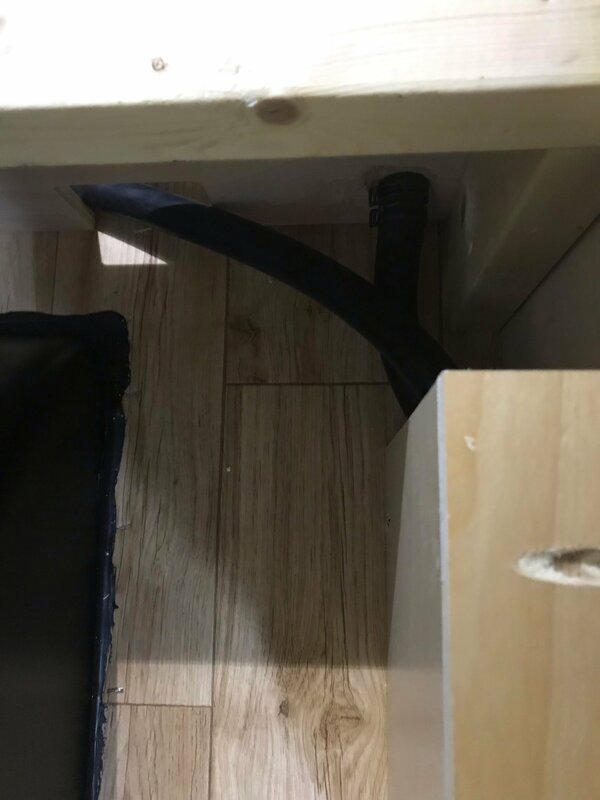 I have a 5 gallon freshwater tank under the sink, but I am worried about the other plumbing. My big water spray bottle is also a big help. My version of Jenn's wag bags are the "GoAnywhere" bags I purchased at Bass Pro. They fit the potty better than two other brands I tried. I also purchased a stand-alone container of "poo powder". Amazing stuff! Absorbs a lot. I always bring drinkable water and wipes that leaves no residue on the skin. I was thinking of dry shampoo, but aerosols tend to set off the CO/propane monitor hehe. @dragonsdofly, I'm very impressed on how you've managed your [email protected] in those wintery conditions! Pex tubing is fairly forgiving and if you've done that blow-out technique, you'll doing great. The antifreeze flush is great. You can water down it a tiny bit if you get too low. I guess managing boredom the worst part. Or maybe living in a tiny space with two people. @Ratkity, yes, after 51 years, there can truly be too much "togetherness". 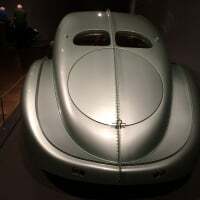 But to be fair, this year for Christmas, birthday, anniversary and all holidays, I'll give the hubby the gift I've given him for the past 50+ years. I'll let him live (for now)! So the trip to the grocery store was a really a reprieve or stress-reliever! Forget groceries, you needed a breather. Am a skier and want to use the TAB's shower and fresh water system in all seasons sooo, decided to see if I could insulate and heat the fresh water and grey water tank area on a TAB 320S. 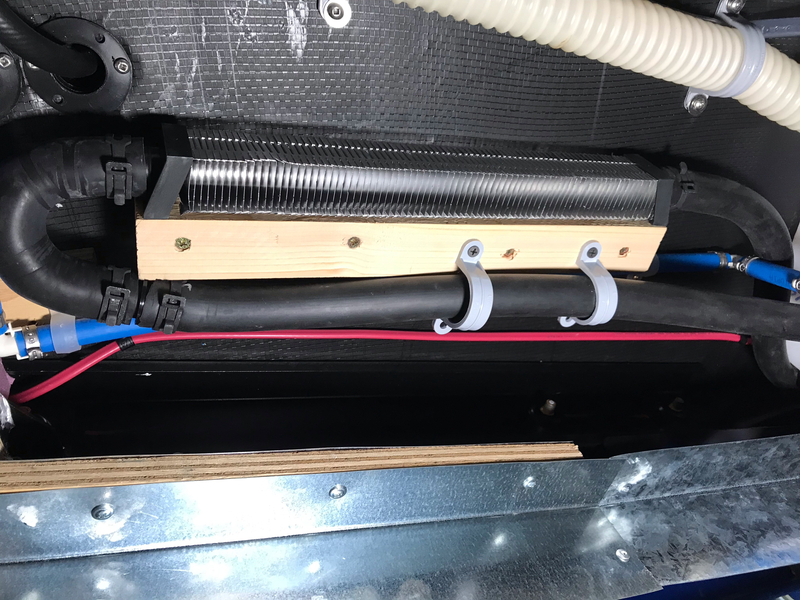 I first removed the plastic corrugated cover, then extended the Alde system using a "mini convector" placing it in front of the fresh water tank, The folks at Alde were great sent me everything I needed! Ran the new heating lines from the out going line from the rear of the convector under the right seat then down thru the floor and then forward to the mini convector and then back out completing the system. 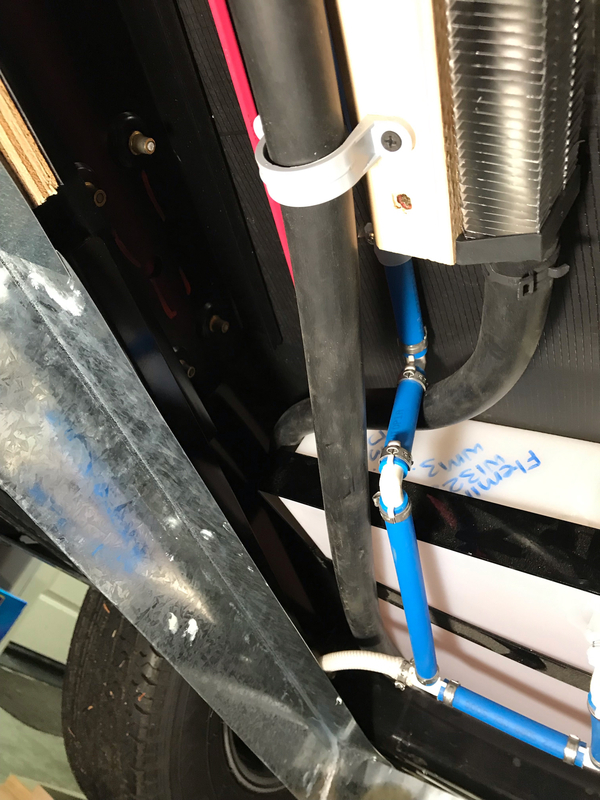 Had to add extra glycol and the had to manually bleed the system, took a while to figure this out... Then created an aluminum channel by using a 3" x 4" aluminum flashing (from Home Depot). Screwed the 3" side to the frame with the 4" side hanging down then pop riveted another 3" x 4" piece, 4" side of one to the 4" side of the other creating a U shaped channel. Did this to the entire frame. Also patched all holes in the frame. 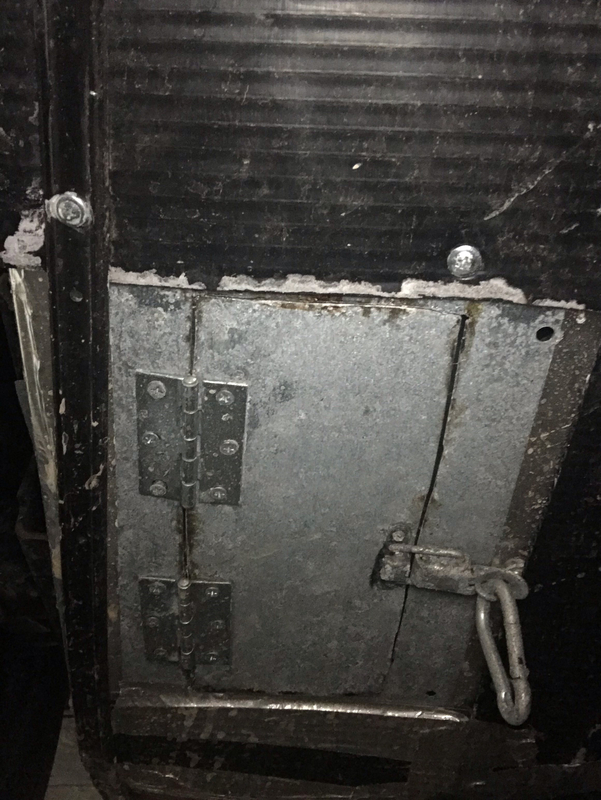 Insulated the sides of the frame and then used 3" Rmax Thermasheath (R20 value) foam paneling cutting it to size and fitted it in the channeling enclosing the entire bottom of the trailer. Used aluminum foil tape to seal the joints. Then reinstalled the plastic corrugated cover over the insulation for protection. Also had to create a trap door for the fresh water drain. Now have an enclosed holding tank space with a heating source. Had to give up some ground clearance but my TV is a Volvo V90 with not much clearance and I don't use it off road so hopeful will be OK. So stay tuned as to how it works! @gregp ; Amazing mod!!! Did you put a temperature probe near bottom of tanks with alarm on a BT app? Do you run Alde while heading to your next resort? Might it be insulated enough that a couple hundred watts of infrared lamps running off solar would keep it above freezing if hesitant to use propane on the road? All the ski nuts are standing by in eager anticipation of your testing!! @DougH ; all great questions! No I have not put a temperature gage/probe near the tanks yet but I do have a trap door for the fresh water drain so I may put a temp sensor in there and see what it says, am very curious too! My plan is to run the Alde while driving off of propane. Ill keep you posted. thanks! An update from skiing at Crystal Mtn last weekend. The temperature dropped to 24 degrees during the night, turned the interior temp down to 60 degrees. According to my wireless thermometer sensor in the enclosed holding tank space, the temp was 68 degrees so no chance of freezing tanks on this trip. The Alde system was on electricity and had it set to the second level. Overall I am very happy with the enclosed holding/fresh water tank mod! Can you create 500 kits for us and have them ready to install at Nucamp 2019? Better yet, put the kit including installation on eBay and let us start buying them from you? Seriously though, fantastic news! @gregp, X2! Yep, what @DougH said. wow!!! this is cool stuff, you need show us some photos!!!!! As promised here are a few pictures of the instillation process. I only took a few pics so sorry if this is a bit incomplete. 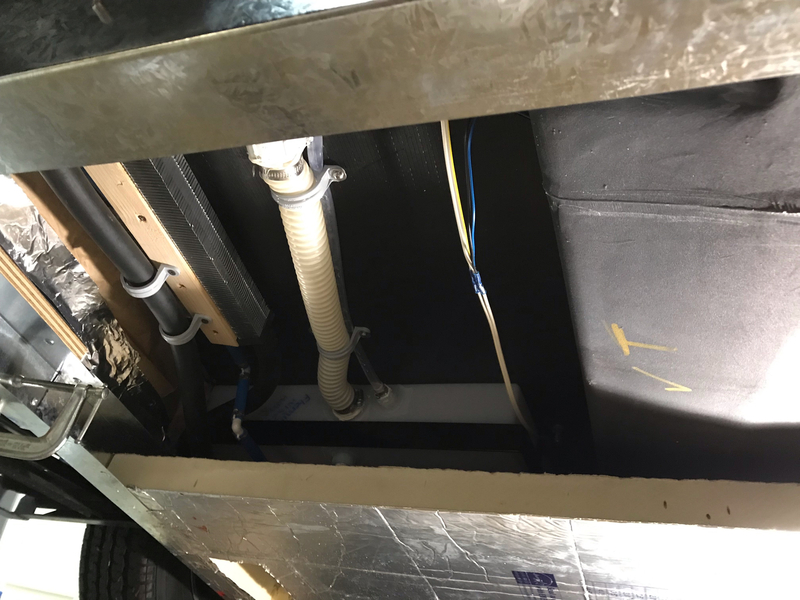 then drilling two holes into the floor (gulp...) and extending the system to the holding tank area, then ran the hose system forward where I mounted a "mini convector" (thank you Alde!) in front of the fresh water tank and beside much of the fresh water plumbing. See below. Next had to seal all of the holes in the frame, this was done using sheet aluminum and construction grade adhesive. 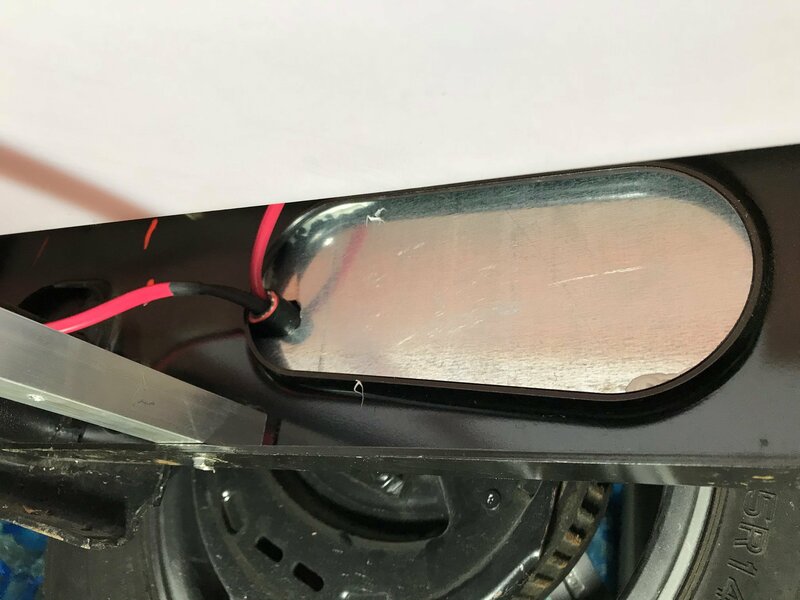 I then attached aluminum L shaped flashing 3"x4" to the bottom of the trailer frame with the four inch side hanging down, see below. I drilled a small hole and used self tapping screws for this process. Were I to do this again I would use the three inch side to hang down there by saving an inch of clearance. 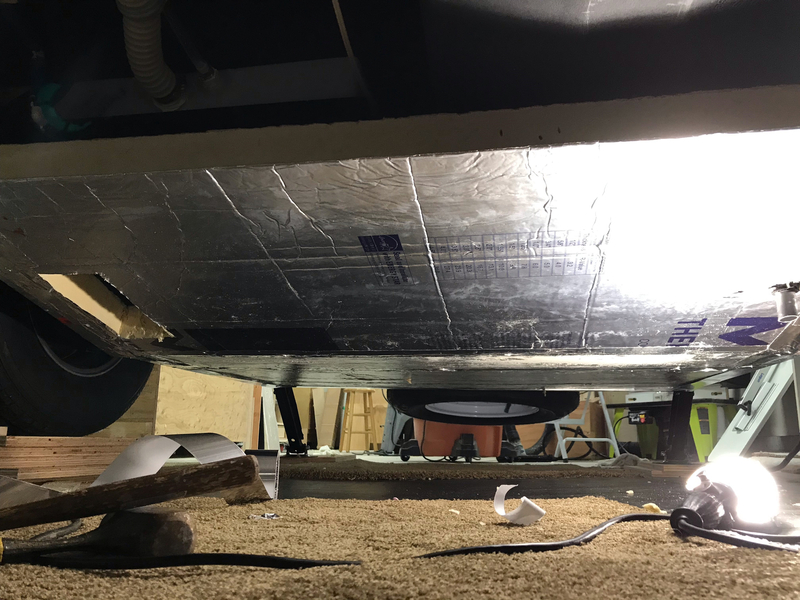 I took another piece of flashing and installed with the four inch side to the four inch side (hanging down) so it created the channel for the insulation to sit in. I used pop rivets for this process. See the left side of the pic below which shows the channel. Hope this is helpful to anyone considering doing this mod! And how was the skiing? Seems weird to have so much of the glorious white stuff in November. Very early season here in WA Mostly man made snow on a just a few runs. But we are skiing! @gregp, thanks so much for the photos and write up. Just curious, how are you protecting the tank exit plumbing and gate valves? @gregp, thanks. That's what we had to do while stranded in Wyoming. RV antifreeze in the gray and black tanks, and worked into the gate valves. Ambient temps as low as 8-10°F and wind chills as low as -5°F, with no damage. However we didn't put water in the gray tank, with no water in the black tank, only human waste. Those temps were easily survivable. @gregp. Somewhere I read that you can use a spray bottle filled with antifreeze and spray the gate valves(s) of the tanks. That would be an easy fix. @Sharon_is_SAM thanks I will give it a try!